The 2019 football schedule was released on Thursday. Here’s a first look at the schedule and our initial thoughts. The Coogs do not have back-to-back home games all season. That’s five different stadiums in the first 5 weeks including both P5 games on the schedule. The rough part is 3 games in 13 days to start – including two top-10 teams from last year. There are two short-weeks in the first month: 6 days for Wazzu and 6 days for Tulane. One thing to watch: the injury situation coming out of the Wazzu game. Going to New Orleans on that short week could be the mother of all letdown games. The first off week of the year is after the UNT game. 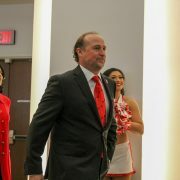 The Coogs will play 5 games before then. I’m very interested to see how this team responds after the off-week with a very good Cincinnati team. UH will play their first home game vs. an FBS team on October 12 vs the Bearcats. This is the result of moving the Wazzu game to NRG Stadium. SMU on a Thursday night is a joke. 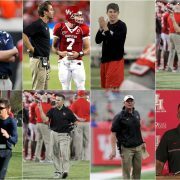 With only 5 games at TDECU, this hurts a potential good home crowd. More importantly, the turn-around from the furthest road game in the conference to a Thursday is goofy. The conference didn’t do us any favors. SMU at home is (once again) a revenge game. Dana will definitely be in their ear about how the 2018 team laid down in Highland Park. And I bet he’ll have D’Eriq King ready to play. Over the last 5 years, UH has played 17 regular-season games on days other than Saturday. We add 3 more with Wazzu, Tulane, and SMU. One bright spot: all November games are on Saturday. Players need that consistent rest as the season winds down. I don’t love the timing of the trip to UCF but it will come with an extra couple days rest. The Coogs get their second off-week before Memphis comes to town. Memphis will have that week off, too. 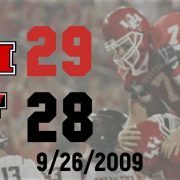 UH hasn’t beaten the Tigers since November 2015. Road trips to Tulane and Tulsa during Major’s tenure resulted in losses in each. 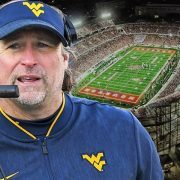 One of the ways I expect Dana to improve this program is to not let that crap happen again. 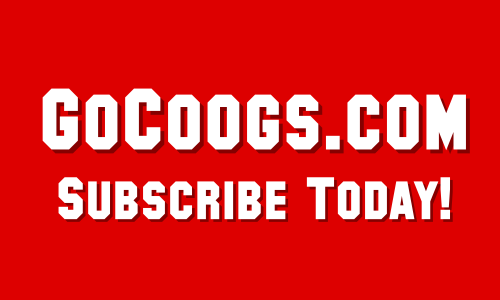 2019 will be the first time since 2012 that the Cougars haven’t played on Black Friday. Memphis/Cincinnati take over our spot.